We are one of the reputed Manufacturer and supplier of Embedded Controllers. 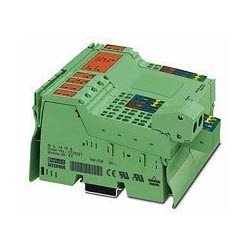 With our vast industry experience, we have established ourselves as the prominent manufacturer, trader, exporter and supplier of sophisticated Phoenix Contact Controller. Gives control solutions for both centralized and distributed automation solutions, our contact controllers are properly examined by our quality experts upon various parameters with the set industrial norms. Apart from this, our flawless contact controllers are provided in different sizes, specifications. Looking for Embedded Controllers ?